We provide a wide spectrum of the most main stream complementary therapies. 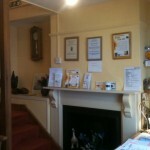 Manor House Practice is run by Kathryn Macdonald Bsc(OST) who has worked in Beccles for the past 23 years. Osteopathy was joined by herbal medicine and chinese acupuncture in 2000 and subsequently moved to our present location in Manor House Lane, Beccles in order to expand our treatments available with our new found spacious practice. Manor House Practice is located in the up and coming part of town in a busy walk through from Tesco to New Look. We are next to Fat Face and surrounded by quality boutique shops so patients can now combine coming to Beccles for a treatment with a quick shop. 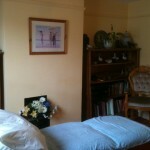 The original Osteopathic practice was established in the early 70’s but since becoming Managing Director Kathryn has developed Manor House into a multi-practitioner, multi-disciplinary Complementary Healthcare Practice that is committed to increasing services offered and appointment times available while maintaining the practices superb reputation for quality patient care. We provide a wide spectrum of the most main stream complementary therapies. Patients who are suffering from certain conditions will be able to chose from several therapies for treatment i.e. back pain patients can chose from Osteopathy, Chinese Acupuncture, or Sports Massage Therapy for treatment. To help you chose which therapy is right for you for your condition read through the therapy explanations or if you require further assistance call and speak to the receptionist.